Habitat: Wet successional and hayfields, pastures, floodplain forests and thickets, disturbed soils, and waste places. 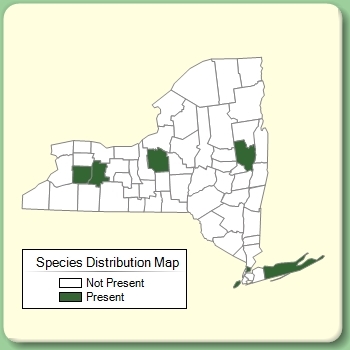 This species is currently believed to be non-native in New York and is spreading from further south and west where it is native. Actinomeris alternifolia Actinomeris alternifolia (L.) DC.